Everyone is familiar with cold fronts, whether or not they explicitly know the meteorological term for them. When they occur, winds pick up, dark-bellied clouds pile up, rain or snow falls and the temperature drops--something dramatic is happening in the atmosphere. 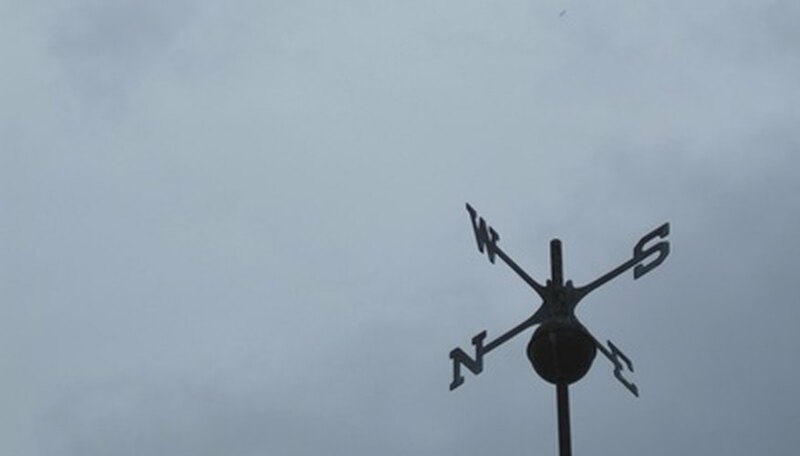 One of the major perceived impacts of a moving cold front is the shifting of wind direction, which might be discerned from the spinning of a weather vane or observation of tossing trees or blowing dust. Cold fronts describe the leading edge of a moving air mass as it displaces warmer pockets of temperature. Because colder air is denser than warmer air, the former noses under the latter at the head of the cold front, forcing the warm air upwards and producing precipitation--rain or snow, depending on the temperatures. By contrast, warm fronts slide over colder air masses, usually resulting in longer bouts of precipitation, but at less intensity. As a cold front intrudes on an area, temperatures typically drop suddenly, then continue a consistent fall; barometric pressure plunges, too, then rises again after the front passes. Jet streams are high-altitude tunnels of fast-moving winds that, in the Northern Hemisphere, mark the boundary between cold northern air and warm southern air. They tend to travel sinuously, and the so-called “troughs”--where the jet dips southward--mark the site of cold fronts because these are the leading edge of the northern, more frigid temperatures. In the middle latitudes, winds far ahead of an approaching cold front typically blow from the south or southwest. In Oregon, for example, according to Taylor and Hatton’s Oregon Weather Book, these southerly gusts can be fairly powerful, and strengthen as the front nears. As the cold front moves through, provoking heavy precipitation, the winds begin shifting in confusion. After the front has passed and the cold air slides through the area, the winds begin blowing from the west or northwest--and begin to lose strength. Occluded fronts occur where cold fronts, which tend to advance more quickly than warm fronts, overtake the latter. Such fronts are usually not as powerful as stand-alone cold or warm fronts, but still inspire much wind and precipitation. Often southerly or southeasterly winds ahead of an occluded front will shift to westerly or northwesterly ones once it passes. Shaw, Ethan. "Cold Front Effects on Wind Direction." Sciencing, https://sciencing.com/cold-front-effects-wind-direction-6578022.html. 24 April 2017.